Please allow me to introduce myself. My name is Matthew Howe, and I am the Director of Bands at Cathedral City High School. 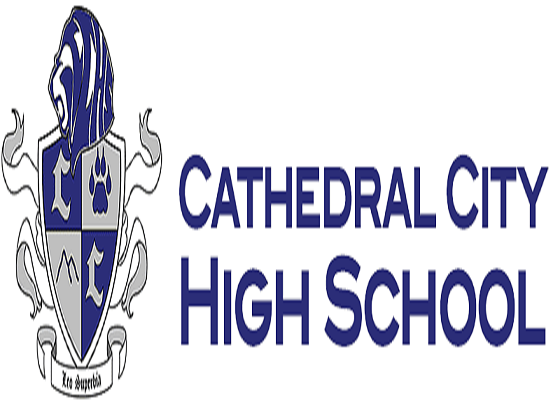 The Bands of Cathedral City High School consist of over 200 young musicians who reflect every background, academic pursuit, and scope of the student body at Cathedral City High School. For many students, participation in the instrumental music program is the reason they come to school every day. Throughout its 25-year history, the CCHS Bands have been a model for musical excellence and a positive, life-changing experience for those who have walked through the band room doors. Our covenant is to carry ourselves with class, grace, humility, and professionalism- both in class and in life. The CCHS Bands have been given a once-in-a-lifetime opportunity to perform at the world- famous Sydney Opera House in July 2017! To get there, each student must pay over $4100.00. Unfortunately, at CCHS, 80% of the student population qualifies for free or reduced lunches, making it difficult for many families to cover the full cost of the tour. Because of this, and the incredible opportunity afforded these student, I am asking for your help. As Director of Bands I make it my mission to support the students in any way I can in order for them to be successful. As a result, I, along with the CCHS Band Boosters and Parents, work around the clock, tirelessly fundraising in order for our goals to be met. As much as we make the effort, it is simply not enough. We are in need of outside resources to help supplement our endeavors, so that all students have the opportunity to participate in this one-of-a-kind music program. I come to you today to humbly ask for your support to our program by giving a tax-deductible donation through our parent booster organization, so that we may realize our goal of quality music education for all. Your donation would be used to provide buses for the transportation of the students to LAX, the costs of shipping heavy instruments overseas, and scholarships set up by the CCHS Band Boosters to help those students in need. A donation of this nature would most certainly be a life-changing contribution to the success of the students of Cathedral City High School, and would be appreciated beyond measure. Please take a moment to look at the attached donation letter, and please consider this worthwhile endeavor. WE ARE HEADED TO AUSTRALIA!! The Cathedral City High School Symphony Band has been selected out of hundreds of applicants to represent their country in the 2017 Australia International Music Festival in Sydney Australia! The 10-day tour will conclude with a performance at the world- famous Sydney Opera House! This trip will cost over $250,000.00 to make a reality. Currently, we are in the midst of a major fundraising campaign to ensure that all of our students get to experience this once-in-a-lifetime opportunity! Any donation you can provide is tax deductible and will go far to make this dream a reality! Cathedral City High School Symphony Band Australia Tour Sponsorship Yes, I will help support the CCHS Symphony Band’s Australia Tour in 2017! I have enclosed my sponsorship of $100 $250 $500 $1000 $_ Other PLEASE MAKE CHECKS PAYABLE TO “CCHS BAND BOOSTERS” FEDERAL TAX ID # 20-0257256 PLEASE SEND THIS CONTRIBUTION TO: THE BANDS OF CATHEDRAL CITY HIGH SCHOOL MATTHEW HOWE, DIRECTOR 69250 DINAH SHORE DRIVE CATHEDRAL CITY, CA 92234 A letter of thanks and your receipt will be sent to your return address QUESTIONS? EMAIL MATTHEW K. HOWE, DIRECTOR OF BANDS AT: mhowe@psusd.us OR YOU CAN PAY BY CREDIT CARD BY VISITING WWW.CCHSBANDS.ORG AND CLICKING THE “Australia Symphony Band Trip” link on the home page THANK YOU FOR YOUR SUPPORT! !